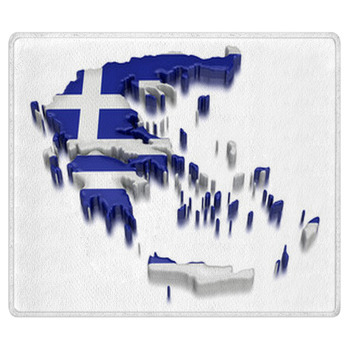 The simple combination of blue and white on the flag of Greece gives our Greek flag rugs the sense of fluffy clouds floating through a morning sky. 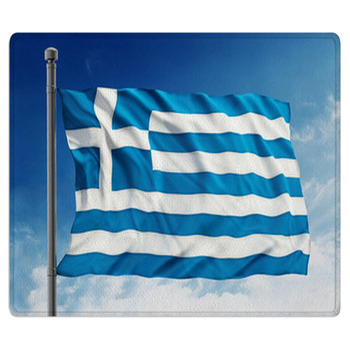 Added to the cross and stripes of this old flag, you'll enjoy Greek themed images on your rug, such as philosophers of the ancient world, rich and savory food, timeless buildings, and stunning views of the islands that dot the warm coastline of Greece. 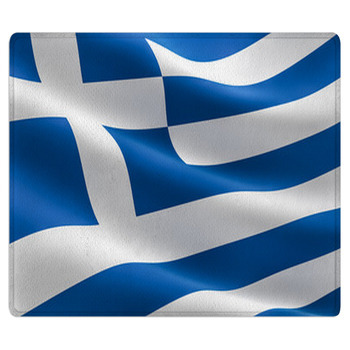 Select a Greek flag rug that pictures a close up photo image of a real flag rippling in the breeze to show your pride in the Greek heritage of your family. 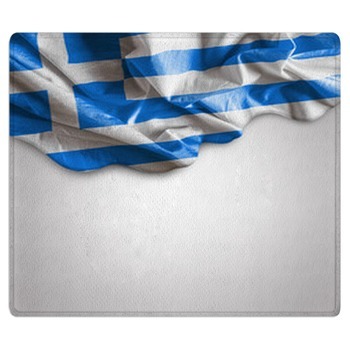 Add a floor mat to your kitchen that features an illustrated Greek chef with a gregarious persona as he shows off a plate of baklava and other Greek treats. 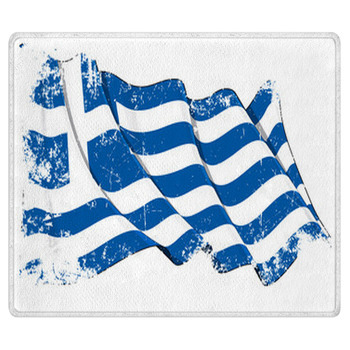 The chef is dressed in a classic white outfit, along with a blue sash, making him match the Greek flag that waves behind him. 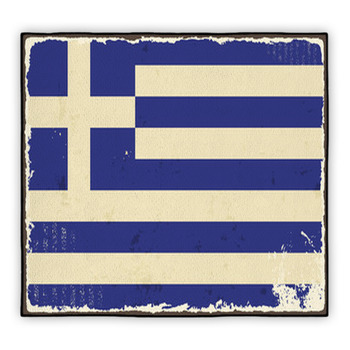 Another carpet rug displays a Greek flag with a border of rough blue, imitating the mountainous terrain of this Southern European country. 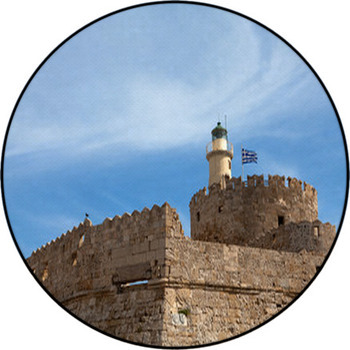 Head into the countryside as you drive down a road that leads to a huge gray castle in Rhodes. 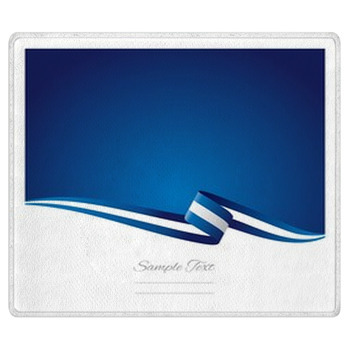 Take a walk down a street in Greece, over an area rug that exhibits a ground level photo of a Greek flag blowing from the tan clock tower of the St. Spiridon Cathedral. 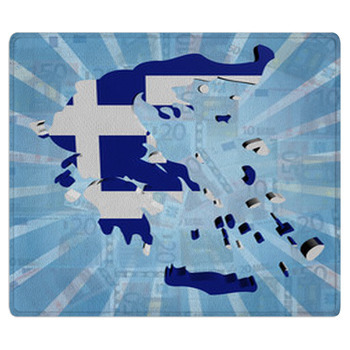 Then celebrate the tradition of math and science in Greece with a rug that displays the symbol pi set in gold on a crimson banner. 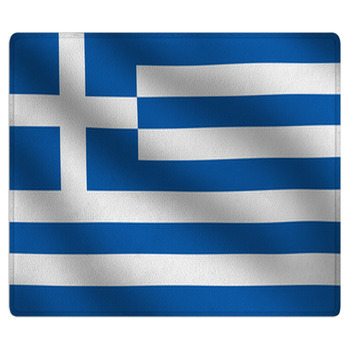 We also have Greek flag rugs that honor the Greek ancestry of the people of Cyprus. 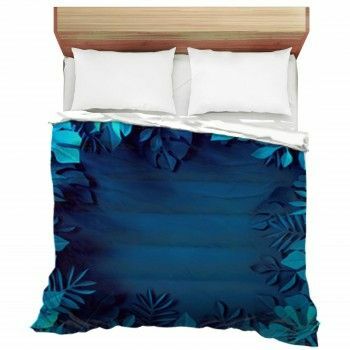 This collage pictures medieval buildings silhouetted in black against an orange sunset, a baroque era painting of Mary and baby Jesus, a photo of a Greek Orthodox Church, and of course a Greek flag pulled tight by a sea breeze. 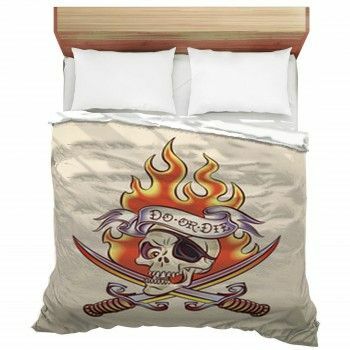 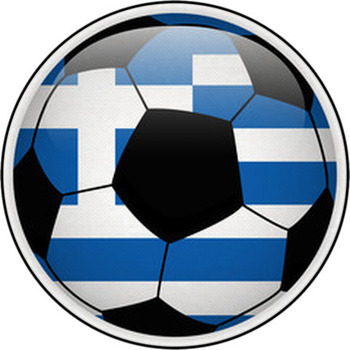 Fill your home with the glory of Greece by also selecting our Greek flag pillows and baby bedding.